Roberto Fortuna, The National Museum of Denmark (CC BY-SA). In this episode, I’m all on my own, talking a bit about the younger futhark and the runestones of 11th century Sweden. 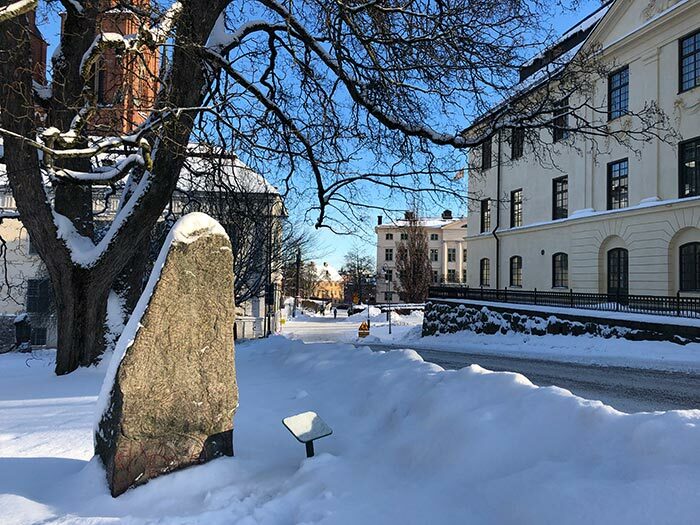 I also act as a runic tourist guide, telling the listeners to visit Jelling if they have the chance and introducing the new slogan Come to Uppland: Rune Country. U 1011 Örby, now in the University Park of Uppsala. 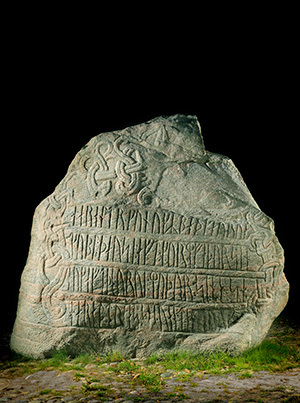 Runestone U 1011 Örby, now in the University Park in Uppsala. Photo: Marco Bianchi (CC BY). This entry was posted in The Rune Cast and tagged futhark, Jelling, Rune Country, Runology, U 1011, Uppland, younger futhark. Bookmark the permalink. From writing your name on a spear, to commemorating your parents with a runestone, to passing secret notes in church, runes were a central writing system in Northern Europe for centuries. 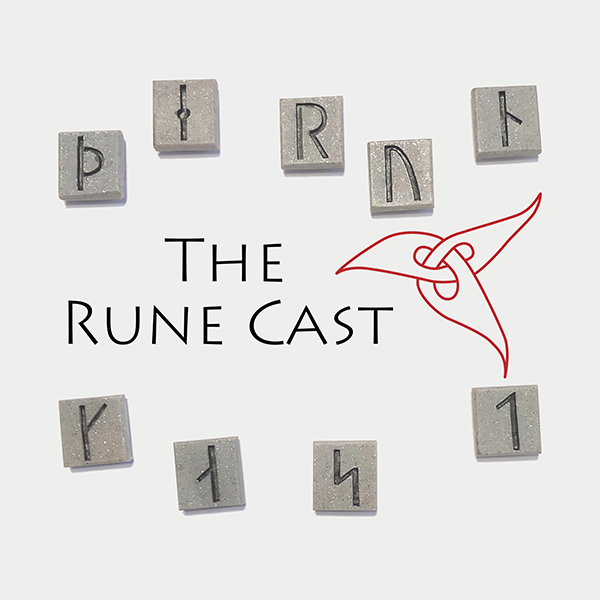 On this podcast, runologist Maja Bäckvall and expert guests talk about runes and the people who read and wrote them.